The Pakistani establishment believes the snakes it rears in its front yard will only bite its neighbour. The school attack didn’t change that deadly delusion. There was much disagreement in the commentariat in the winter of 2014. In the week of the massacre of Pakistani Army officers’ children in their school in Peshawar, I disagreed with the dominant view that it will be a turning point and the Pakistani establishment will be jolted into giving up on all terrorists. 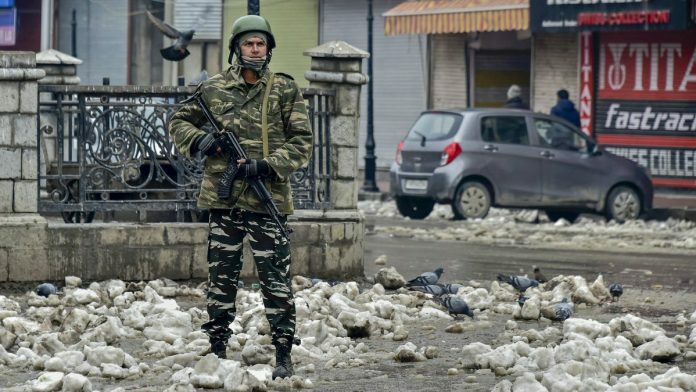 If Samba, Gurdaspur, Pathankot and Uri weren’t yet convincing enough evidence, this Pulwama carnage once again shows that our pessimism was, regrettably, realistic. I had said then that the Pakistani establishment will surely squash snakes in its backyard. But it believes the snakes it rears in its front yard will only bite its neighbour. This deadly delusion even Peshawar will not demolish. This has been vindicated many times over since. When it comes to India and Afghanistan, the Pakistani establishment is addicted to terror. There is much revulsion in India over that mass slaughter in Peshawar. There is sympathy for Pakistan. But it is also laced with some serves-you-right schadenfreude, a little bit of I-told-you-so and the inevitable: Will you still keep rearing snakes in your backyard hoping they will bite only your neighbours? This complex reaction is entirely in the nature of how estranged cousins in a subcontinental family relate to each other. We feel a fraternal, even filial connect. But also with a patronising sense of let-down and grievance. You know me so well, we are brothers, why don’t you ever listen to me? Some of this has been on display this week. Within 24 hours of this most shattering massacre, and not long after schoolchildren elsewhere had observed their two-minute silence, we were returning to “normal”. On the Pakistani side there were the expected blame-India noises, led by a terrorist with a $10-million global bounty on his head, and every public appearance of his is like running a finger in India’s eye. His prime-time Sancho Panza is the subcontinent’s most prized and delinquent idiot to hold high public office. Even if we parade our worst, we Indians can’t rival Hafiz Saeed and Pervez Musharraf. But we can certainly be equals in the game of competitive cussedness. I have written often that the media, particularly 24×7 TV, is no longer a force for liberal moderation on either side, and true to form, warrior anchors had locked horns again, barracking “guests” from the other side. Sure enough, while grieving families were still not done with funeral prayers, we were already at the pickets, asking them how long will they keep nurturing Hafiz Saeed and his Lashkars, as they accused us of complicity and crediting our RAW with mythical prowess so formidable as to greatly embarrass it. None of this us-versus-them-versus-us business is funny. These chronic prejudices cloud our judgment, influence our responses. As the extent of the tragedy unfolded, even my immediate reaction was that this, finally, was the turning point. Only an utterly suicidal terror group would target the children of its own country’s army. Even the old mafia refrained from attacking policemen and almost never hit their families. Now, I thought at once, this will remove all old notions like equivocation, good/bad terrorist finessing, militias in the west (of Pakistan) are my enemies and those in the east my force-multipliers. That it will make the Pakistani establishment see the light, that one set of terrorists is as bad as the other and that you can’t be fighting one while feeding the other. Within 24 hours, I was eating my words. There was plenty of fight-to-the-finish talk against terror, also that there are no good or bad Taliban, but not a line to suggest the Lashkars were also to be put in the same basket. If anything, the establishment was probably complicit in letting Saeed come out vocally and re-state his jihad threat against India. Saeed would not do this in defiance of his patrons. Further, the one line we never heard from anybody in authority in Pakistan was: There is no place for any armed non-state actor, Taliban or Lashkars, Pathan or Punjabi, foreign or indigenous, on our soil. All attack was confined to terrorists of the Taliban, there was even sympathy for Afghanistan and appreciation for its President Ashraf Ghani’s promise of cooperation. It was so cynically nuanced that you couldn’t help believing that even in this moment of its country’s worst terror tragedy, weeks after another shattering outrage at Wagah, the establishment was not going to change the way it defined friend and foe. Or that it would get Saeed to shut up. Surely, the Pakistan Army’s campaign against the Taliban is for real. It is a counter-insurgency of an intensity never seen in the subcontinent with generous use of air power, including assault helicopters. The Pakistan Army doesn’t always make its casualties public, but if you trawl its military blogs and discussion groups carefully, you find evidence that it is taking severe casualties, including many young officers, in its sizeable special forces. This is real war, and it is because the army is doing serious damage that the Taliban have now hit their children. You can be quite safe in concluding that if there is a point of inflexion in any insurgency, organised armed challenge to state power, it must be this. Even on our side of Punjab, the turning point came in 1992 when Sikh terrorists had carried out widespread killings of policemen’s families overnight. That is when Punjab Police decided that the fight against terror was theirs and accomplished in months what the army and paramilitary forces had failed to do in a decade. For the Pakistan Army, the killing of their schoolchildren in Peshawar is a similar turning point. At the same time, I am not yet buying the argument that this is the turning point to change the course of the future. The Pakistani establishment remains umbilically connected to the Islamist ideology of nation-building, way to the Right of the ideals of its founding fathers. This discourse is rooted in fearful insecurity and suspicion, particularly, though not only, of the bigger brother, with what you see as a conflicting ideology of nation-building. If Pakistan is being redefined from the mid-fifties onwards as anything but India, permanent hostility must substitute any residual kinship. Then comes the reality check: The size of India’s economy, military, the strength and stability of its society. To the simplistic, tactical military mind, this creates an “asymmetry”, so what better way to fight it than with “asymmetric” warfare. That’s how India-centric jihadis become force-multipliers, a strategic asset. This, I dare say regretfully, is not about to change. The only way to reverse this is to persuade Pakistani public opinion to embrace the truth that the existentialist Indian threat they have been fed on is a cynical, self-destructive mythology which does no more than protect their army’s pre-eminence in the power structure, undermines their economy, and diminishes them into a global migraine rather than the largest Muslim population with modern democracy, and thereby a model for the rest of the Islamic world. Indonesia had got there much earlier, and now is Bangladesh catching up. Pakistan has brought this curse upon itself, that while Iraq and Afghanistan were invaded and Palestinians were dispossessed of their lands, the world’s angriest Muslims live in Pakistan. Which is also today the second biggest victim of terrorism, all of it home-grown. American public figures are masters of the sound bite. If Madeleine Albright imprinted her TM on her description of Pakistan as a global migraine and Bill Clinton wagged his finger at Islamabad saying the map of the subcontinent could no longer be redrawn with blood, the current favourite is Hillary. Her warning as Secretary of State, that you can’t rear snakes in your backyard and hope they will only bite your neighbours, will be repeated often after the Peshawar outrage. There is, however, a vital flaw in her argument. The way the Pakistani establishment looks out, it has a backyard, but also a front yard. The snakes it rears in its front yard still only bite the neighbour. That deadly delusion even Peshawar will not fray. Use of “snake” as a metaphor reminds me of an age-old Hindi phrase: “Aasteen ka saamp”. Aasteen means the sleeve of a shirt, saamp means a snake. Apparently in olden times, kings and powerful people used to keep a small, poisonous snake wrapped on their wrist, hidden underneath the sleeve. When they shook hands with an adversary whom they wanted to kill, the snake would bite that person. Now don’t ask me how they told or conveyed to the snake to act. But the point is, in some foul mood, the snake bit the owner himself! Because a snake has a snake’s mind, its logic and reasoning are its own! Terrorists are patronised by Pakistan in the manner of those snakes. So many times they have “bitten” Pakistan itself, but that country just refuses to learn. Pakistan’s constitution clearly says it is Islamic Republic. They’re fully under control of mullahs and Islamic fundamentalists. Any attempt to mix religion in our government will turn India into different nation which may not be good for our country. So we not need to guard ourselves against rougue country also religious hot heads within as well. Pakistan’s infirmities and proclivities are well known. The only question is whether we are doing ourselves a favour by shutting down any form of dialogue. Prince MbS’s visit to Pakistan, with a large portfolio of investments, is the latest reminder that Pakistan is nowhere being isolated.